Live from the Metro Toronto Convention Centre in downtown Toronto, ON Canada, watch some of the most revered prospects in boxing battle it out on Liveco PPV. Toronto native "Mr" Steve Rolls (17-0 10 KOs) brings his undefeated record to his hometown for the first time to face Damian Ezequiel Bonelli (23-2 20 KOs) of Argentina in the 8-round main event of the evening. In a 6-round co-feature bout, Heavyweight knockout artist, "The Albanian Sensation" Kristian Prenga (6-1 6 KOs), from Albania, will face Tim Chemelli (4-2 4 KO's) of Cold Lake, Alberta in what promises to be an all-out war. Another undefeated Toronto native, Zsolt "The Phenom" Daranyi (13-0 12 KO's) originally from Hungary, will face Argentina's Diego Adrian Marrocchi (17-3 13 KO's) in a 6-round bout Super-Welterweight bout. *All scheduled bouts are subject to change without notice. No refunds or exchanges. You are able to join virtually the excitement of Undisputed | Official PPV Stream. Watch a high quality LIVE video stream brought to you by Liveco Boxing. Enjoy, interact and watch the live feed from any of your internet connected devices. On Mar 24, 2018 20:00 EDT to Mar 24, 2018 23:00 EDT you will come back here and watch the show LIVE!! The Liveco Boxing team will be providing a video on demand replay of this event within the next 24 hours after the completion of this event to watch at your convenience. 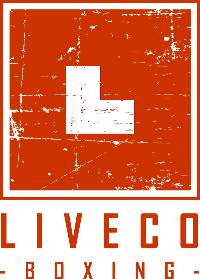 On behalf of Liveco Boxing Cleeng teams provide support before, during and after the event. Due to high traffic just before and during the event, critical requests will be handled first, so please moderate your questions and only send if very urgent. Please try not to send multiple requests.